Dr. David K. Yelton is Professor of History and Chair of the Social Sciences Department at Gardner-Webb University in North Carolina. His lifetime work as been the study of twentieth-century Germany and military, political and diplomatic history. 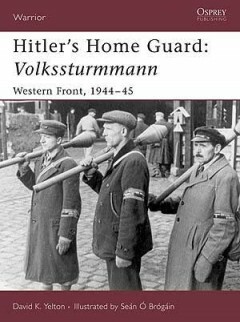 He has written an academic monograph and several articles on the Volkssturm and has conducted research trips to numerous German archives for source material. He lives in North Carolina.